I’ve since remedied the foot issue – Moe has a right and a left foot now, but the mailman’s visit yesterday prompted me to give her an opportunity to shine! 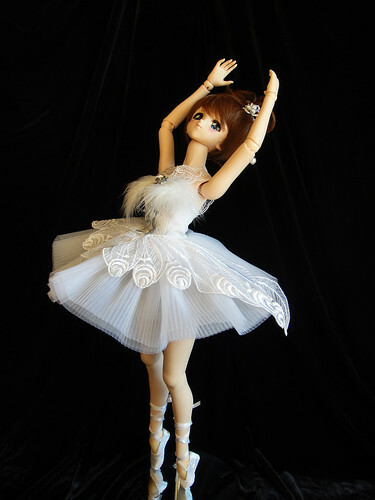 A number of weeks ago I ordered the new “Ballet” feet made by Taiwanese company Peapod Doll and they arrived yesterday. 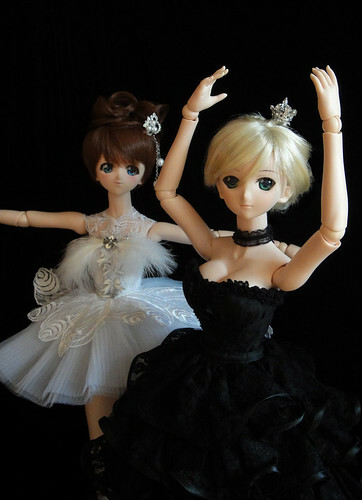 Suddenly, out of the darkness the seductive Black Swan sneaks up on our lovely Swan Queen! 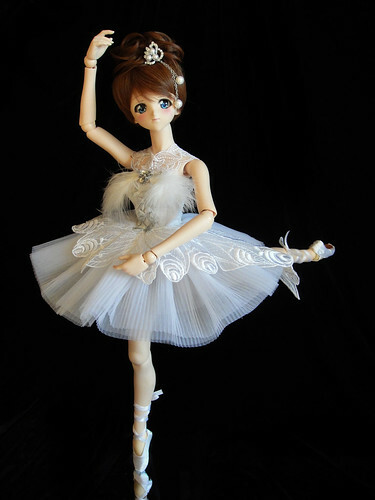 She intends to replace the lovely Swan Queen and steal the love of Prince Siegfried! Can you tell me which swan will prevail? The feet have some weight to them because of the resin ankle joint. I noticed that the colour doesn’t precisely match the DD leg, but since I assume these are made in small batches your luck may vary. It’s not enough of a colour difference to bother me and I barely notice it from a distance. 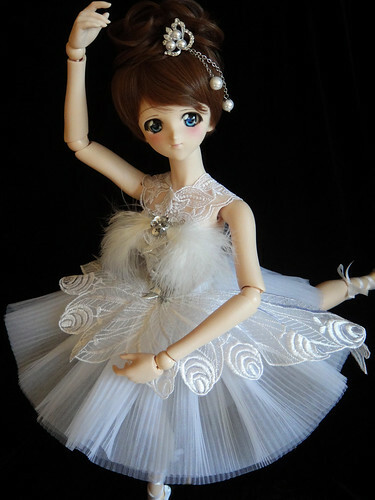 They are very easy to attach – they just slide on like the normal DD foot piece does – but snug enough that they don’t fall off when I pick my doll up. 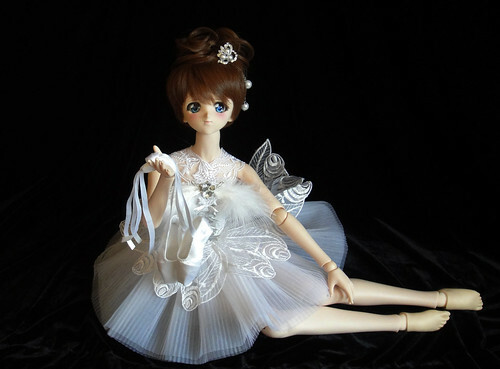 – The ends of ribbons on the ballet slippers aren’t sealed so you may want to add a dab of clear nail polish to them so that the ribbons don’t fray. 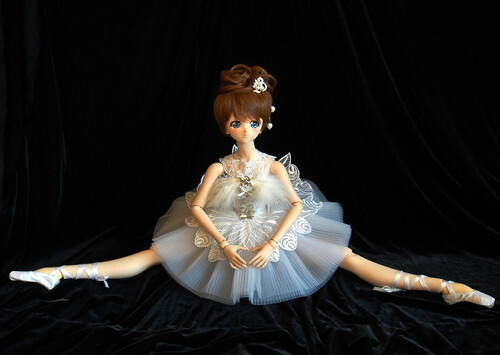 After her epic performance, Moe shows off the new ballerina feet. 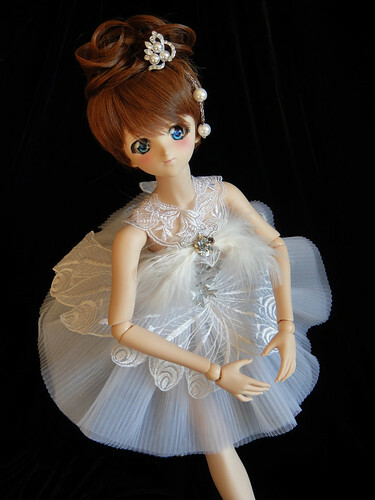 Fashion notes: Tutu is by Jyh Haur of Peapod Doll (custom made for DD M-bust size), wig is Choco-Brown DW-68 from Luts. 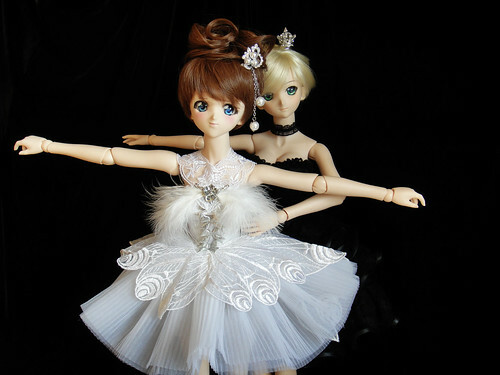 This entry was posted in Dollfie Dream and tagged Moe, Saber Lily, Swan Lake by archangeli. Bookmark the permalink. So gracious. Ballet will always be in my heart.